Long-time fans of camp in general, and science fiction in particular, artists Hilary Harp and Suzie Silver set out to create a project that explores the mutual influences which flow between abstract art, and “space age” visual culture. Their sources included Thomas Wilfred’s Clavilux color organs as well as experimental abstract filmmakers such as Mary Ellen Bute, Jordan Belsen and James and John Whitney. Harp and Silver were also inspired by liquid light shows, the marvelous sightings of the Hubble Space Telescope, American sculptures of the 1930’s and 1940’s, and the visual culture of the space age. From these they sought to create an experience of sensuous immersion that could function as a portal from the mundane to the infinite. 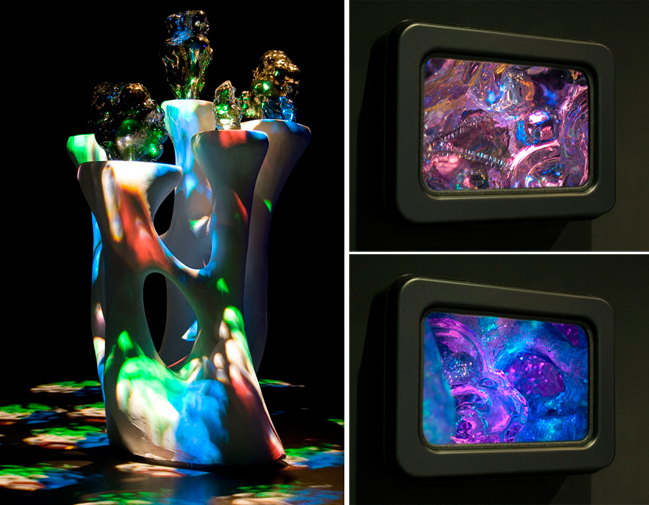 The glass sculptures inspired by “asteroid” forms in sci-fi illustrations, function on the one hand as abstract sculptures, and on the other hand as subjects for stop-motion animation used in the digitally manipulated video. 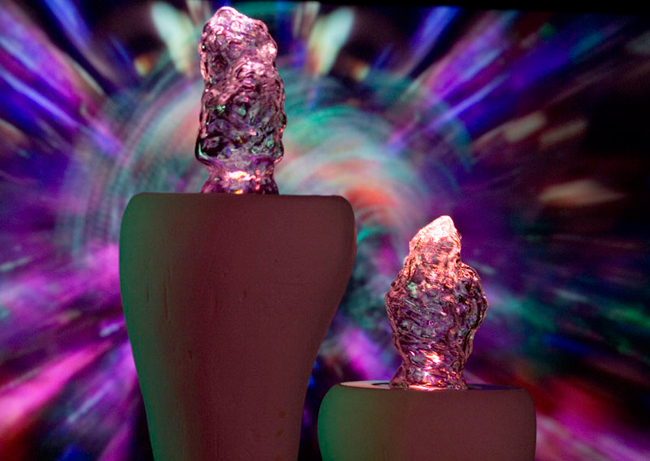 Animations were also created from ephemeral sculptures made of light-loving craft materials such as glitter, pipe-cleaners, iridescent fabric and tulle. 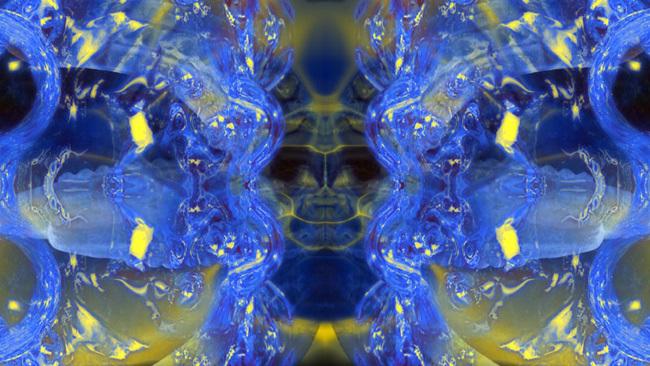 These animations were digitally manipulated and combined with purely digitally generated abstractions to create the final video.